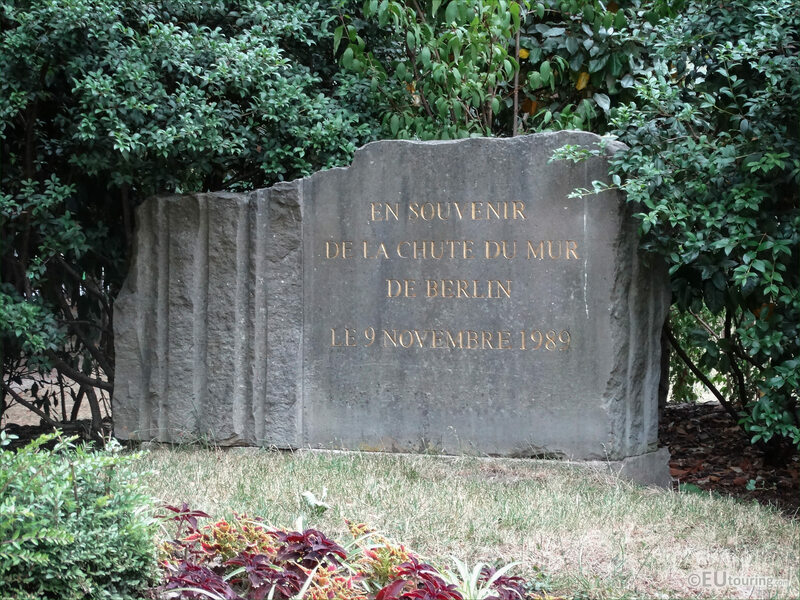 We were in the 8th Arrondissement of Paris close to the Grand Palais, when we took these high definition photos of a commemorative Monument to the Fall of the Berlin Wall and its garden dedicated to the unification of Germany. In memory of the fall of the Berlin Wall on 9th November 1989 and this is located within the Square de Berlin, and this is known as the Monument to the Fall of the Berlin Wall. 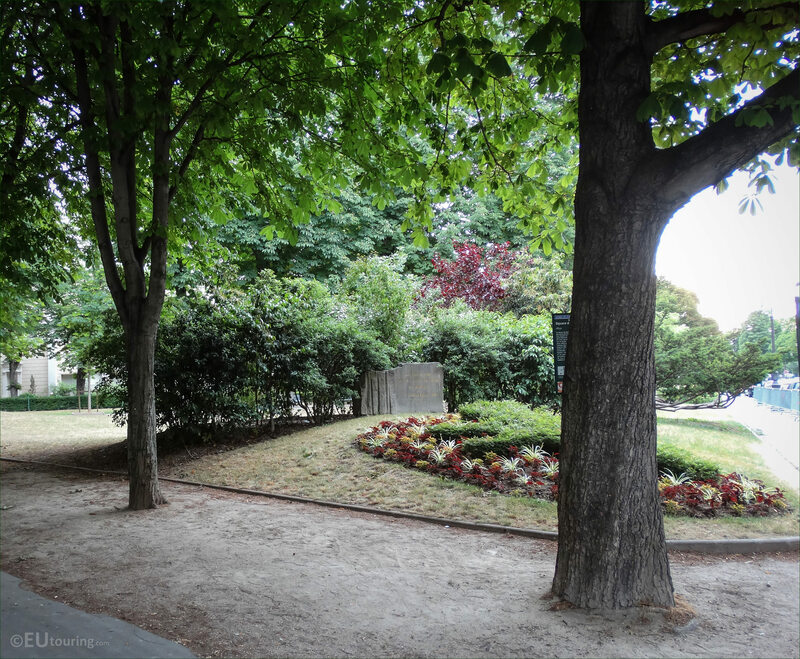 Now the garden itself was originally laid out in 1859 as part of the Champs Elysees Gardens, however, it was on the 17th March 2000 that this was renamed the Square de Berlin, which was inaugurated at the Summit of the Worlds Mayors in the presence of the Mayor of Berlin, the Mayor of Paris, Jean Tiberi and many other dignitaries. 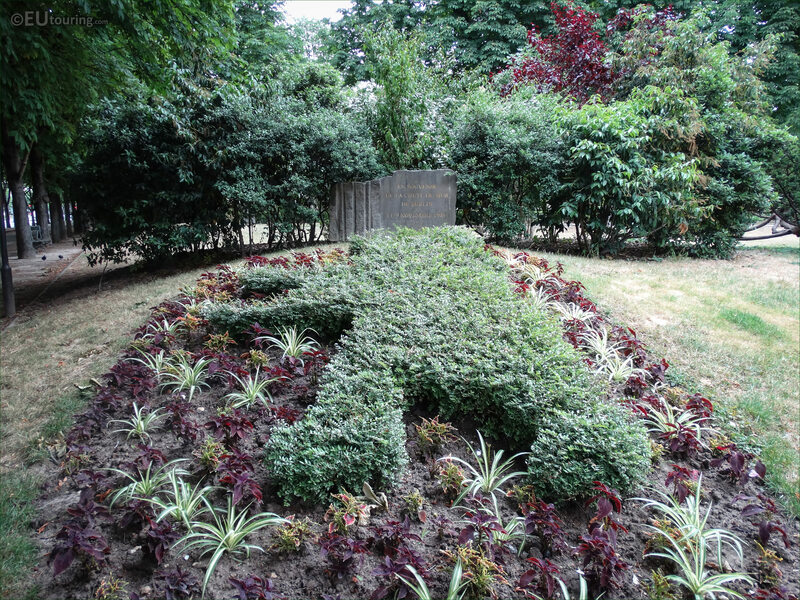 Yet this next high definition photograph shows a vegetation mosaic in the shape of a bear, which is the emblem for Berlin that shows on their coat of arms, and this unusual memorial can be found very close to the German Embassy in Paris on the Avenue Franklin Delano Roosevelt. 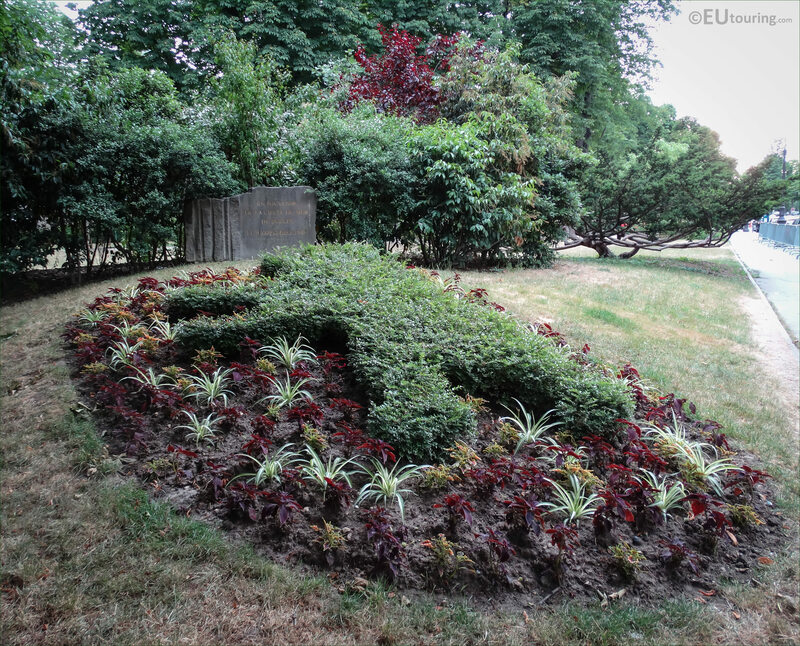 So this next photo gives you more of a perspective as to its location at the corner of the Avenue Franlkin D Roosevelt and the Avenue General Eisenhower with its mosaic bordered by flowers that vary throughout the seasons, and towards the back of this small garden you can see the Monument to the Fall of the Berlin Wall. 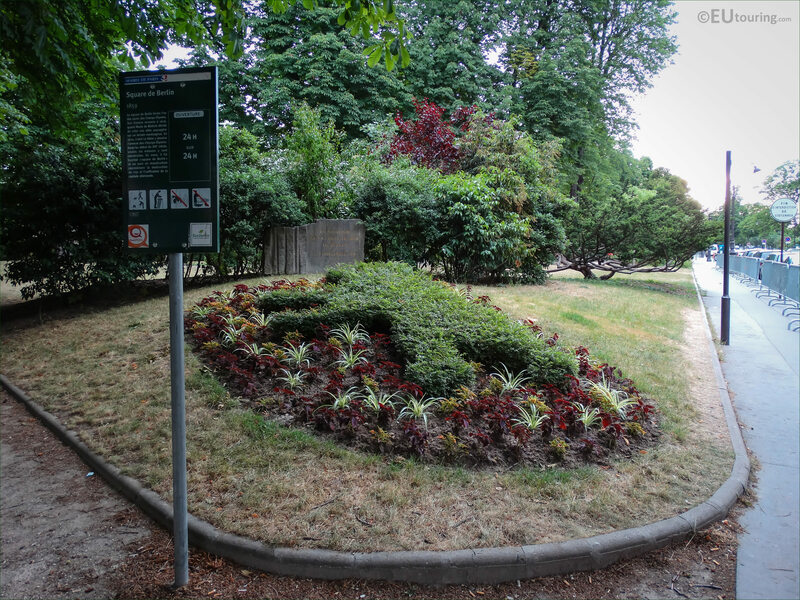 And in this last image you can see the information board from the Mayor Paris, which mentions when this small little garden close to the Champs Elysees was first constructed in 1859, but also when it was renamed the Square de Berlin, which recognises the unification of Germany between East and West.